On Thursday night for dinner Adelaide Food Central was invited to sample the incredibly authentic menu at Singapore House. This restaurant has always been a family favourite of mine so it is always a pleasure making my way to Glen Osmond Road for a meal. 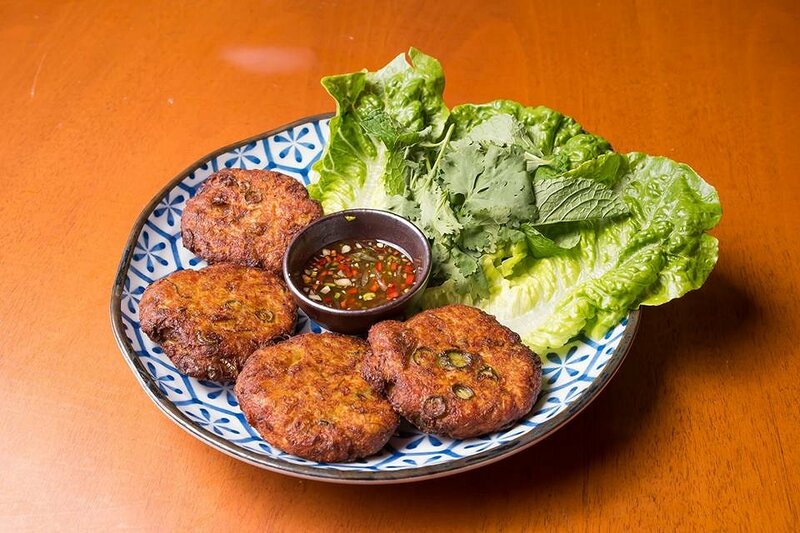 We started with a few of the dishes from the street food menu: the first dish was the Fish Cakes with lettuce, herbs and red Nam Jim. These delicious fish cakes were not only soft on the inside, but also slightly crunchy on the outside. You could tell that the fish that had been used was good quality, and nothing fake was going into these delicious cakes. The Nam Jim dipping sauce was an authentic flavour with a combination of salty, sweet, spicy and sour. 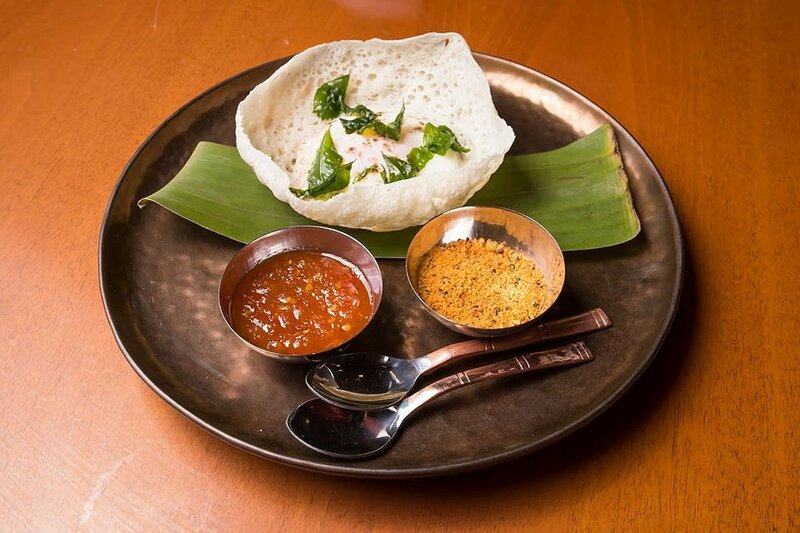 Next up on the street food menu was an interesting one the Egg Hopper with coconut pancake, chilli jam and fish sambal. This dish is traditional to Sri Lanka and is pretty much a rice and coconut crepe with a runny egg placed in the middle of it. This dish is very popular in Sri Lanka and is usually served with breakfast but in this case it was turned into a dinner dish. If you are looking for something a little different and authentic then I recommend trying this dish. The third dish we tried was the Crab and Wombok Wonton dumplings with prawn and chilli vinegar dipping sauce. 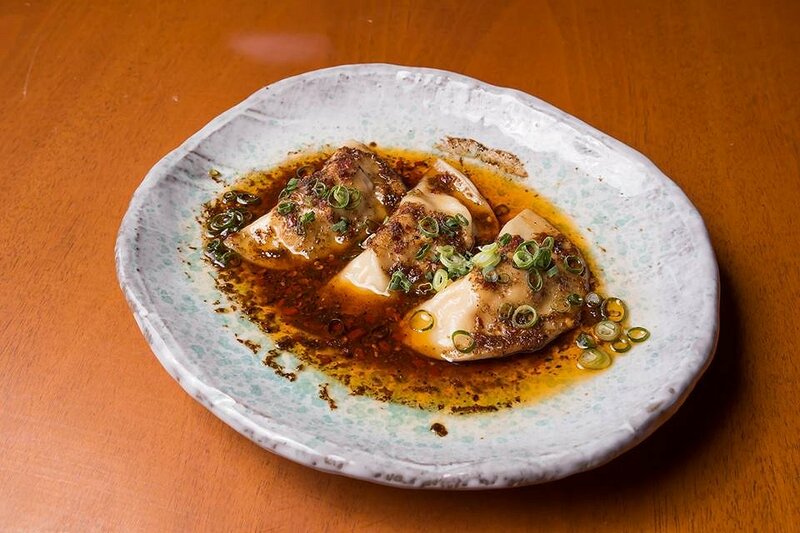 I really love dumplings when they are done well, so I was happy when I feasted my eyes on these perfectly cooked wontons. What I enjoyed most about this dish was the combination of crab and wombok (a Chinese cabbage). The prawn and chilli vinegar dipping sauce helped to give the wonton that extra bit of flavour and spice. Then onto the Roast Pork crispy pieces, and hoisin sauce. This is the dish that I always order when coming to Singapore House. Each and every time the pork is cooked to perfection and I can never fault anything about it. 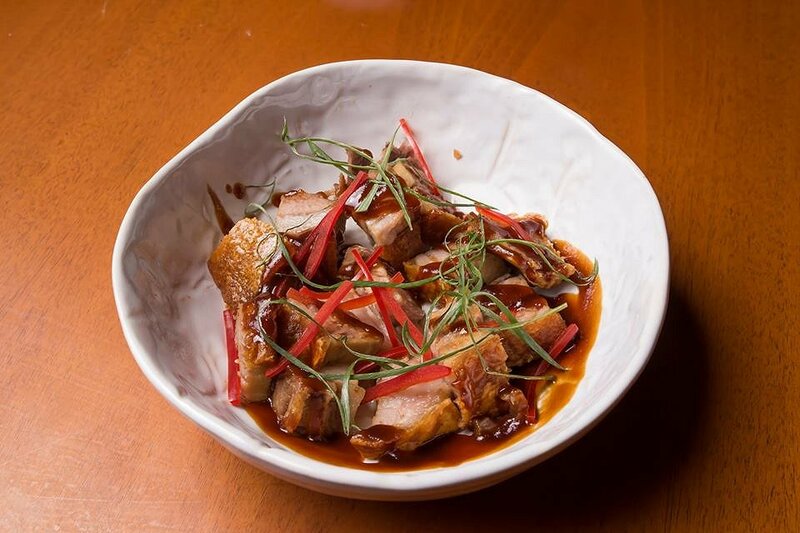 The delicious hoisin sauce is drizzled over the top of the pork and helps to give it a sweet and bitey flavour. We then tried the Crispy Beef, lettuce, chilli, rice vinegar and spring onion. This was the first time that I tried this dish and it was one of my favourites of the evening. 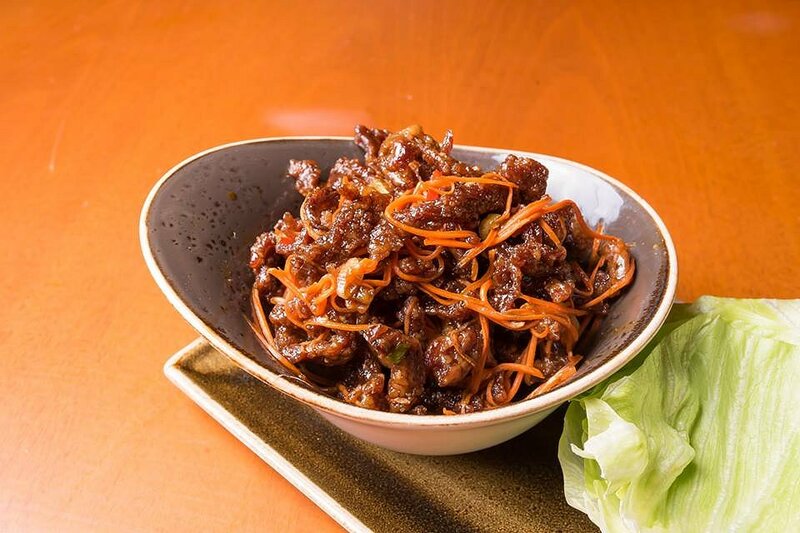 Sometimes crispy beef can be rather chewy and not crispy at all, but this dish lived up to its name. The dressing that had been used to coat the beef had a mixture of both sweet and sour flavours and sprinkled with one of my favourite Asian vegetables spring onions. The last delicious meal on the street food menu was the Satay Chicken with cucumber, red onion and peanut. 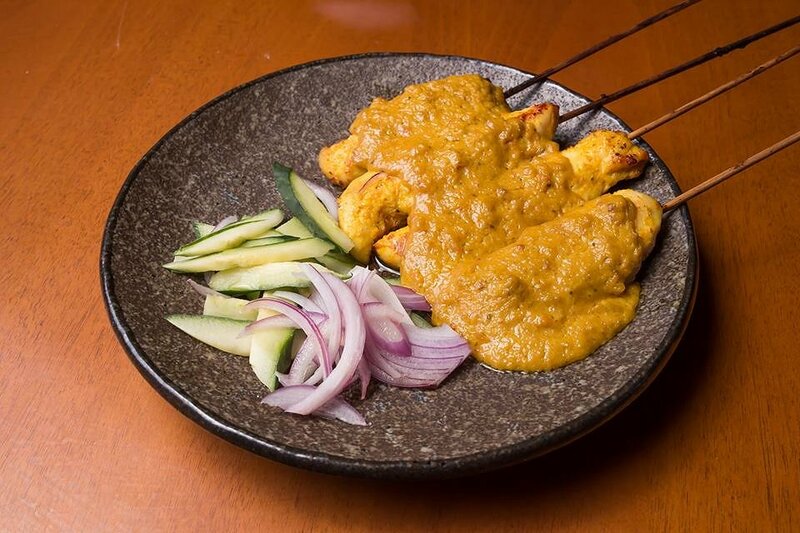 You can never go wrong with satay chicken, and this dish from Singapore House was especially good. The satay sauce itself was smooth but with chunky bits of peanut throughout. Just the right amount of sauce had been layered on the chicken so that it is not to overbearing. We then tried two curries from their menu starting with the Spicy Beef Cheek Vindaloo with smashed kipfler potatoes, and red onion. This dish is not for the faint hearted (spice wise) it really does live up to its name. The delicious beef cheek pulled apart beautifully and paired well with the potatoes and red onion. The sauce coating this dish was to die for, and my mouth is actually watering whilst writing this. The other curry dish we tried was the Butter Chicken pan tossed in rich tomato sauce. 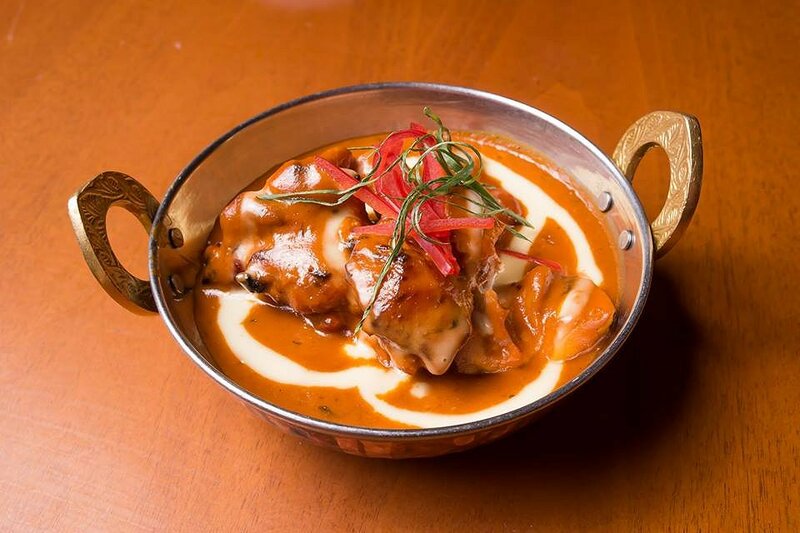 Seriously, it is safe to say that this is the best butter chicken that we have ever set our eyes on. Words cannot even describe how delicate, creamy and delicious this sauce is. If you love your curries and butter chicken then this dish is a must. 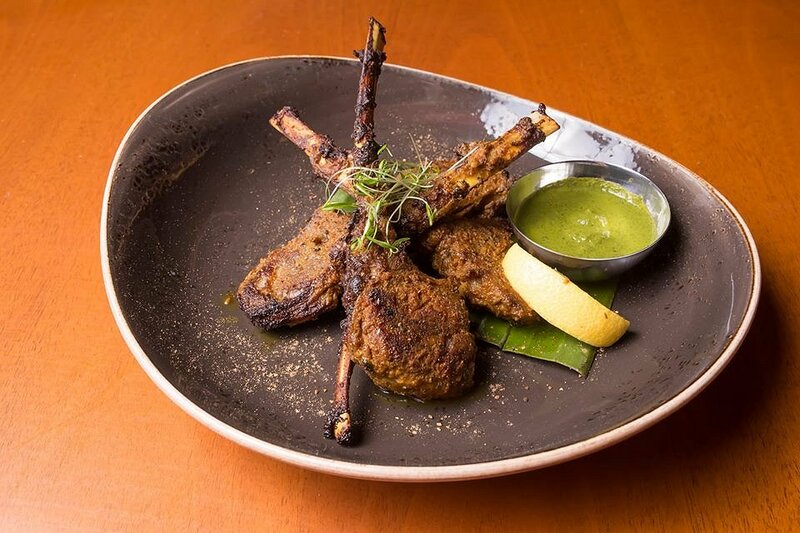 We ended with two dishes from the other menu starting with the Lamb Cutlets with Indian spice, lemon and mint chutney. What I liked about these cutlets was the subtle but authentic flavour that coated the lamb. Sometimes Asian food can hide the beautiful flavour of the meat itself, but this did quite the opposite. The cutlets were cooked perfectly and went well with the lemon and mint chutney sauce. The last dish we sampled was the Roast Duck Wraps with cucumber, chilli sauce and hoisin sauce. This is another dish that I always order here, and is fantastic time and time again. 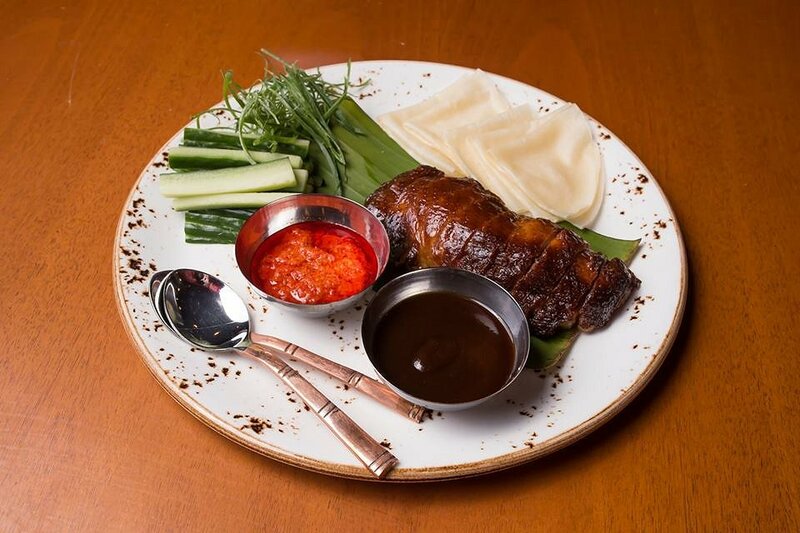 You can never go wrong with the delicate duck wrapped in a soft wrap with the crunch of the cucumber and the tang of the hoisin sauce. Thank you so much to the staff at Singapore House. 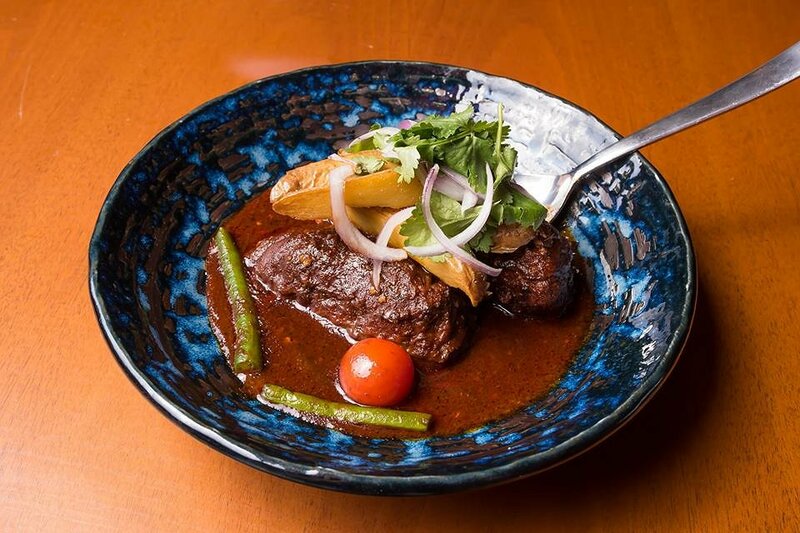 It is always a pleasure dining at your restaurant, and we will continue to come back to enjoy your delicious menu.